The first details on Disney’s upcoming High School Musical TV series have been revealed, which Deadline reports will be titled High School Musical: The Musical. The series is in the works for Disney’s upcoming direct-to-consumer streaming service. The 10-episode series is described as a docu-style show which follows a group of students at East High who stage a performance of High School Musical for their winter theater production, only to realize that as much drama is also happening offstage. Each episode will include new songs as well as new renditions of iconic songs from the films. RICKY – A snarky sweetheart, a B-minus student, and our star. Ricky’s been dating fellow junior Nini for a year. When she unexpectedly breaks up with Ricky, he launches a bold plan to get Nini back — by auditioning to star opposite her in the school’s production of HIGH SCHOOL MUSICAL. Ricky’s class-clowning covers a deep fear that he’s not actually great at anything, except coasting by on charm. NINI – The other star. Formerly relegated to the chorus of her school’s musicals, Nini just got back from summer camp, where she found her voice – and confidence — playing the lead in THE MUSIC MAN. Unfortunately, Nini also found a new boyfriend at camp. Drama. Fiercely loyal to her two moms, she’s stronger than she first appears: an iron butterfly. E.J. – Nini’s new love interest, the type of ambitious entrepre-nerd who brings homemade props to auditions. Don’t cross E.J. if you get something he wants — like a starring role, opposite “his” girl Nini. The son of two high-powered corporate attorneys, E.J. is supremely confident but secretly prone to anxiety attacks when anything goes off-plan. ASHLYN – Brash and gutsy, Ashlyn’s mouthy attitude covers “new kid” self-doubt. A slightly woo-woo horoscope reader, she’s finding her place in the school hierarchy. Or trying to. (It helps that her cousin E.J. is a senior.) Whether she’s cast in the musical or not, she’s got her eye on student council. GINA – Don’t call her an understudy, call her a “wonderstudy.” A polished pro with an Equity card and the unwavering belief that the drama teacher made a HUGE mistake not casting her as a lead. Gina is an entitled princess, but her ambition pales in comparison with her stage mother’s. VIKRAM – Captain of the color guard and the student choreographer of HIGH SCHOOL MUSICAL. Beyoncé is his iPhone lockscreen wallpaper, and he already has his Tony Award for Best Choreography speech written out. Vikram thinks of the drama teacher as a peer — he eats lunch in her office, and has been drinking espresso since 3rd grade. MISS JENN – The school’s new drama teacher, Miss Jenn is high-energy and low-reality. She truly believes musicals can save lives. If only she believed in telling the truth on her résumé. Forces student choreographer Vikram to do a Kickstarter for the musical when the school board won’t give her the $50,000 budget she asks for. The first High School Musical film aired on 2006 at the Disney channel which launched the careers of Zac Efron (The Greatest Showman, Extremely Wicked, Shockingly Evil and Vile), Vanessa Hudgens (Dog Days) and Ashley Tishdale (Charming) giving them worldwide recognition. The last film titled High School Musical 3: Senior Year was released ten years ago. Tim Federle (Ferdinand) and Oliver Goldstick (Pretty Little Liars) will serve as the show’s executive producers with Director Julie Ashton leading the casting. 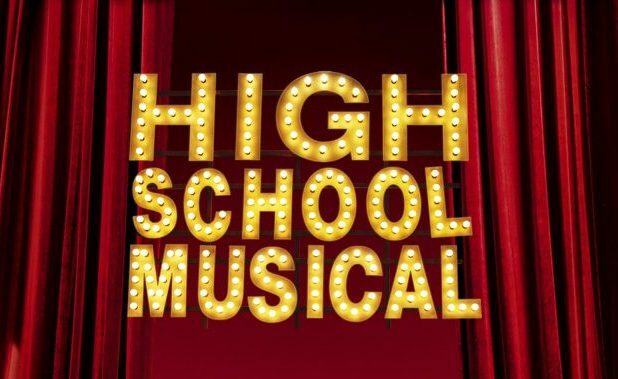 The post First Details on High School Musical TV Series Revealed appeared first on ComingSoon.net.